Spanish Cob Two Reales Coin Pendant from the shipwreck Nuestra Senoira de Atocha Circa 1598 - 1622. Obverse: Crowned Hapsburg Shield (coat of arms), Mint, Assayer, Denomination. 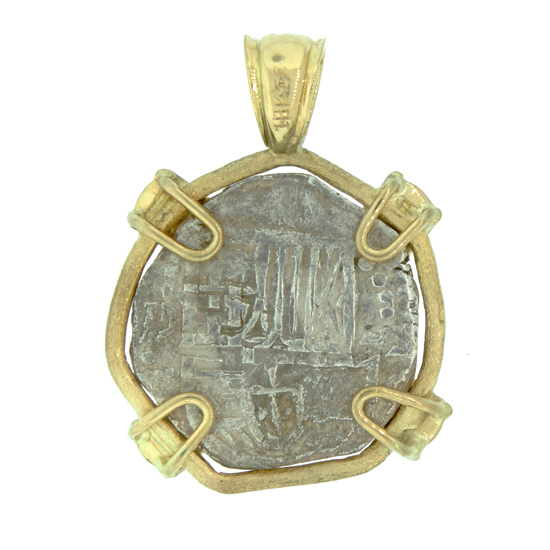 Reverse: Spanish Cross with Lions of Leon and Castles of Castile quartered with legend around. Ruler: Philip III; Mint: Potosi; Country: Bolivia. Framed in 18Kt Yellow Gold with Emerald and .12TW Diamonds. 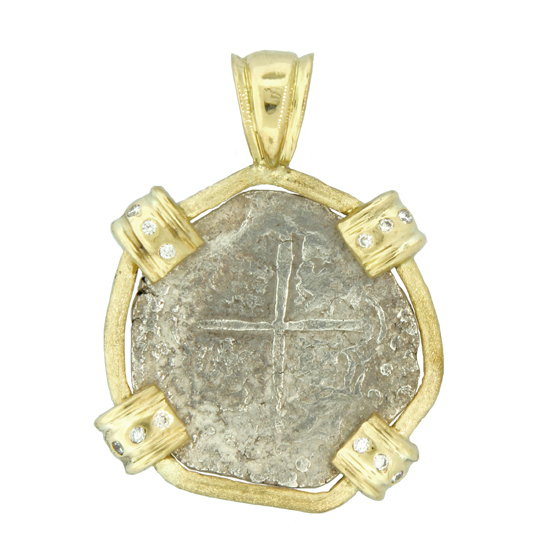 Coin Measures 7/8" average Diameter and Pendant is 1-3/8" x 1"